A Heartfelt session is very private event. Our amazing photographers time and time again, often at very short notice volunteer their skills to create beautiful images for families who are confronted by the most horrible of circumstances. Not many of these images are ever shown outside a family's inner circle. We wanted to create a book that gently shared some of these images with the precious and personal stories behind them. Giving an insight to what the images mean to families and what it is to be a Heartfelt Photographer. Our talented designer Netra Chetty worked with our incredible members gently putting out the request to see if some of our families would be interested in participating. Thankfully many families wanted their babies and stories to be part of the book. 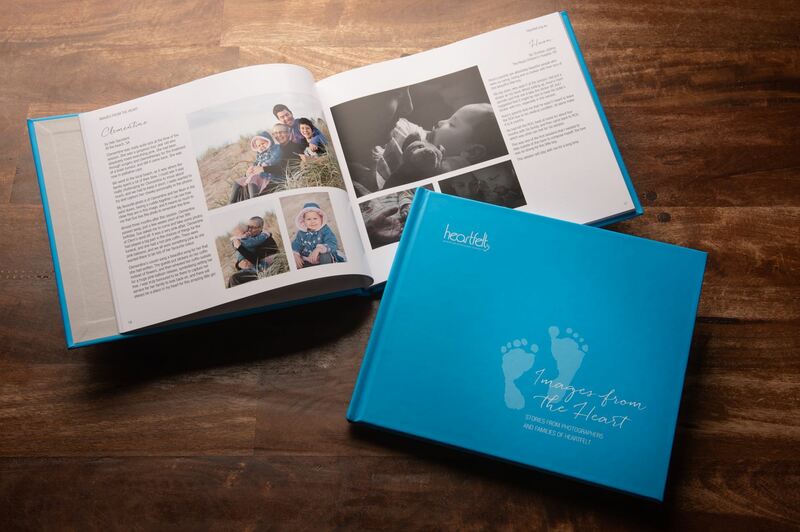 We now have the completed book and our goal is to get a copy into every hospital across the country that looks after families that could use Heartfelt's services. One of the concerns we have is that in the swirl of emotion and grief when a family first finds out that their baby may not live, the idea of organising photos can seem like a confronting suggestion. We want this book to become a resource for social workers, midwives and carers to gently assist in supporting families to make an informed choice about whether to request Heartfelt's services. We also hope that in that moment, the families will feel a little less alone. To sponsor a book, $75 allows us to send the book where needed and you can have a special personal message in the inside the front cover. It is also possible to order a personal copy. To sponsor or order your own book follow this link.